Pumpkins are rich in alpha and beta-carotene that benefit the eyes and skin, as well as vitamin C and zinc that have a positive effect on the immune system. The diversity of vital substances found in pumpkin is what makes it a true treasure for our health. While the ingredients found in pumpkin can maintain our inner health, it also contributes to our outer appearance - which was an unknown fact until recently. Thus, this popular autumn veggie was added to our Repair & Care Shampoo in its fermented form to ensure a healthy scalp and beautifully strong hair. Mix the pumpkin puree and coconut oil. Apply to wet hair and rinse after 10 minutes. Follow with a shampoo. Apply to clean skin and leave on for 5 - 10 minutes. Rinse with lukewarm water. Apply to wet skin using circular motions while in the shower. Leave on for a few moments and rinse. 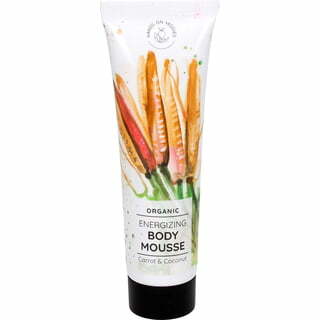 For a silky-soft skin feel! We hope you have fun making the DIY beauty tricks. Wishing you a wonderful pumpkin season!